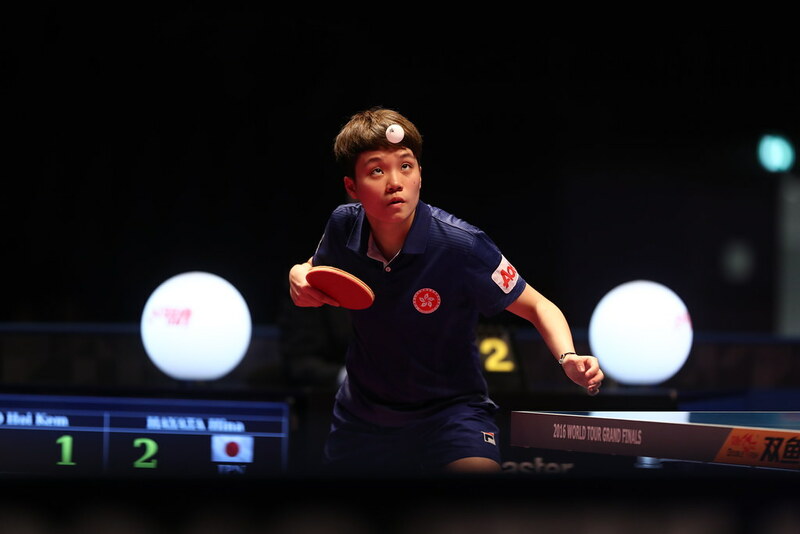 Present on this year’s Seamaster 2017 ITTF World Tour in Slovenia and Croatia as well as on home soil, on Friday 30th June, partnered by Ryu Hanna, 12 year old Shin Yubin led by example to book Korea a place in the Cadet Girls’ Team final at the Korean Air 23rd Asian Junior and Cadet Championships in Asan. At the final hurdle China, who selected from Wang Tianyi, Huang Yingqi and Kuai Man, await. A place in the final for China was as to be anticipated, they started proceedings as the top seeds; for the host nation, it was somewhat unexpected. Ryu Hanna and Shin Yubin commenced play as the no.5 seeds. Notably in the group phase of play on the opening day of action, the Koreans had beaten the Chinese Taipei outfit formed by Chen Tung-Chuan, Cai Fong-En and Huang Yu-Jie, the no.4 seeds, by three matches to nil to remain unbeaten and top the group. On the second day of play, form was maintained. A three-nil win was recorded at the quarter-final stage against the Singapore trio of Ser Lin Qian, Zhou Jingyi and Tan Li Lin Jassy, before the same margin of victory was secured in opposition to Japan’s Yumeno Soma, Satsuki Odo and Honami Nakamori. Singapore commenced play at the no.6 seeds, Japan as the no.2 seeds. Similarly, in the opposite half of the draw, Wang Tianyi, Huang Yingqi and Kuai Man showed no charity. They beat the Indian trio of Anusha Kutumbale, Diya Parag Chitale and Vanshika Bhargava, the no.9 seeds, by three matches to nil, prior to overcoming Hong Kong’s Ng Wing Lam and Lee Ka Yee, the no.3 seeds, by the same margin. A place in the final for China in the Cadet Girls’ Team event; it is the same in the Cadet Boys’ Team competition. Occupying the top seeded position, Niu Guankai, Yu Zhengyang and Song Zhuoheng combined to post three-nil wins at both the quarter-final and semi-final stages. Impressively they overcame the Indian trio formed by Himnakulhpuingheta Jeho, Panas Jain and Chinmaya Somaiya before reserving their place in the final, courtesy of success in opposition to the Japanese outfit comprising Jo Yokotani, Kakeru Sone and Kazuki Hamada. India commenced matters as the no.8 seeds, Japan, the top seeds. In the final, China meets Chinese Taipei, the no.5 seeds. At the quarter-final stage they beat Hong Kong’s Yiu Kwan To and Lau Chun Kit, the no.6 seeds, by three matches to nil prior to posting a three-one win again the Korean combination of Yang Yechan, Park Kyungtae and Kim Jangwon, the no.2 seeds. The one win for the Koreans was secured by Park Kyungtae; in the second match of the fixture, he accounted for Li Hsin-Yu (11-6, 11-4, 11-3). The finals of both the Cadet Boys’ Team and Cadet Girls’ Team events will be played on Saturday 1st July.